A dry and often sunny day is forecast with light winds, although sunshine may be hazy at times. It will feel very warm inland by the afternoon, but cooler near coasts where onshore breezes develop. Maximum Temperature 24C. Dry and often clear through the evening and night. 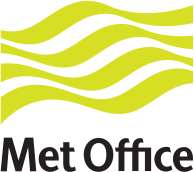 Mist or fog patches may form in places as temperatures drop to single figures in rural spots. Winds will be light. Minimum Temperature 4C. Dry and very warm inland by the afternoon with spells of hazy sunshine, and little cloud. Generally light, variable winds, but onshore breezes may keep some coastal areas cooler. Maximum Temperature 25C. Dry, often sunny and warm or very warm inland on Monday and Tuesday, but with cooling coastal breezes, more especially on Tuesday. Cloudier on Wednesday with thundery showers.